So excited to try this Origami paper. Although I am not super crafty but for my children's entertainment sake I try to be one. LOL. I've learnt some paper crafts when I was a kid. I know paper crafts are fun to make and these particular paper crafts that I learned can bring back great memories of my childhood whenever I make them. I want to pass them unto my children and other kids as well. I can't remember all the origami crafts I used to make but there are few I can recall vividly which I will show on the photos below. First I want to tell you about the paper I used which I received for free in exchange of my review. 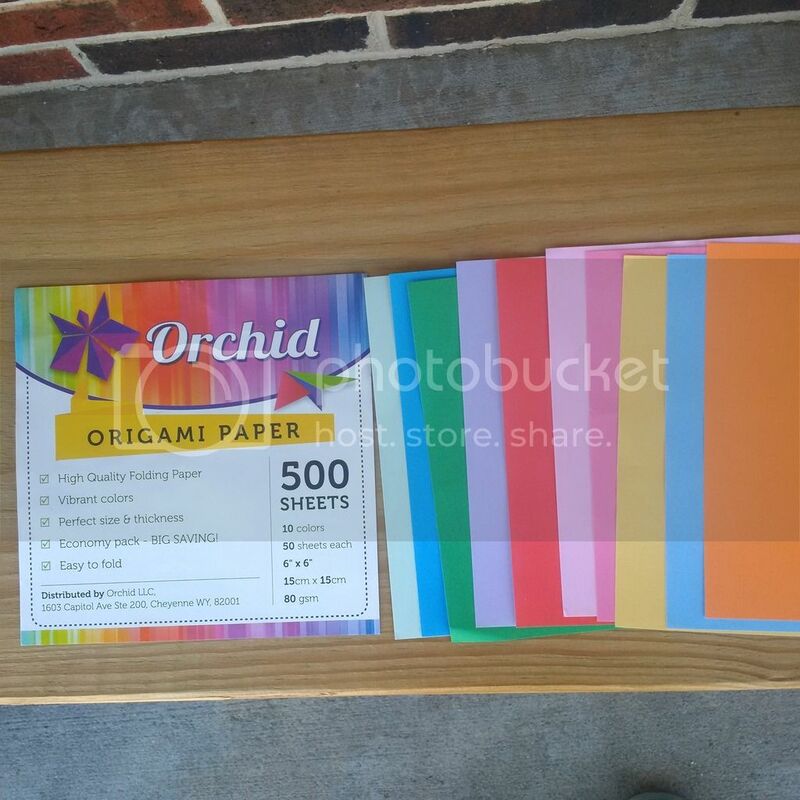 It's called Orchid Origami paper, comes in 500 sheets, 10 vibrant colors and measured 6"x6". It also came with a guide on how to make an origami star. Me and my middle son had a great time making different origami crafts. What I love about Orchid Origami Paper is that it's not too thick or too thin, very easy to fold. It's smooth and feels good to touch. You don't need a scissor if you need to do some cutting. Just fold it nicely and tear the part you wanted cut. Great quality paper you can use for different origami crafts. One thing I want to suggest is that I hope they make the other side colored as well and not one side only. But for the most part, I like this paper. Here are the samples of the origami crafts we made and at the very bottom you'll see a video of my son making a paper airplane. 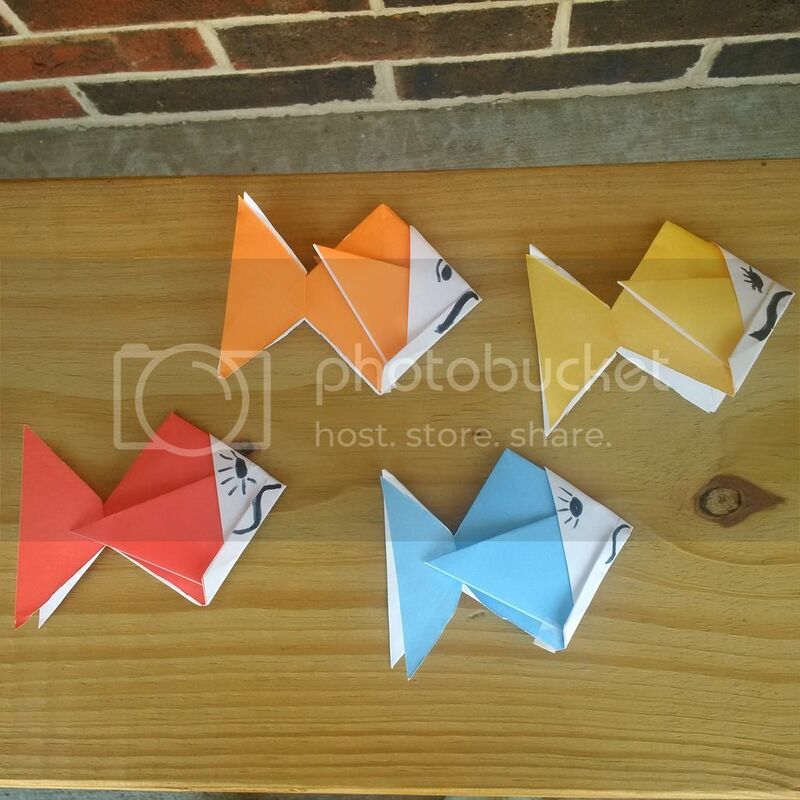 Origami fish is one of my favorite paper crafts when I was a kid and up to now. I can add a string on the top side of the fish, tie the string to a stick and pretend I am fishing. 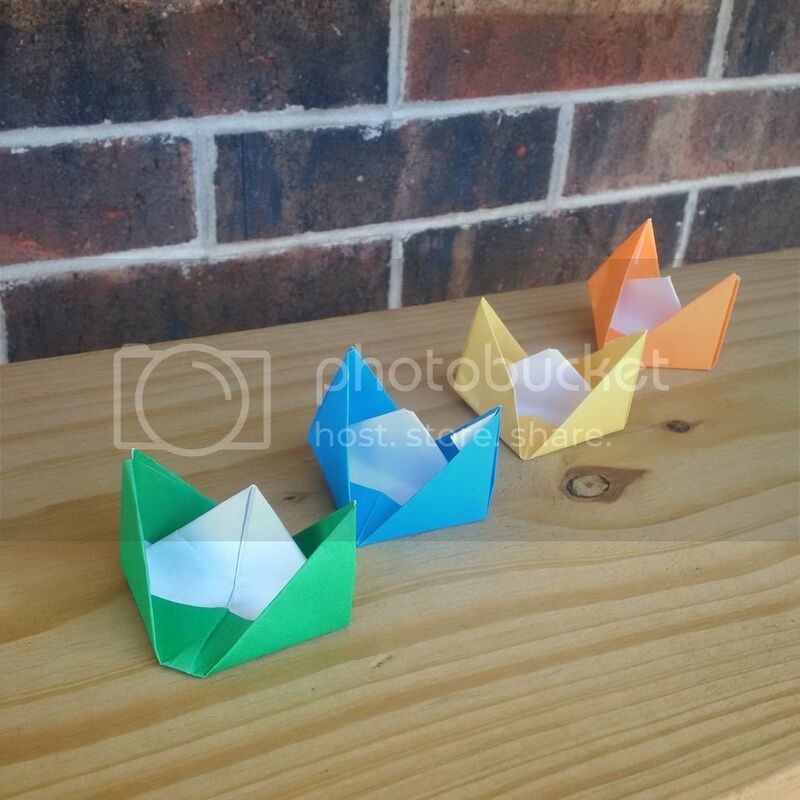 Another thing I love to make is the paper boat. I remembered playing with my friends, having a boat racing with them on a shallow river. That was a lot of fun. I know I didn't include the steps on how to make these origami crafts but I will try to make a video next time and share it on my blog. But here's the video of my son making paper airplane. Sorry the end was cut off and the video is shaky. But I hope you enjoy it. Disclosure: I received a package of Orchid Origami Paper for free for product evaluation purposes. However, all opinion expressed were my own and not influenced in any means.